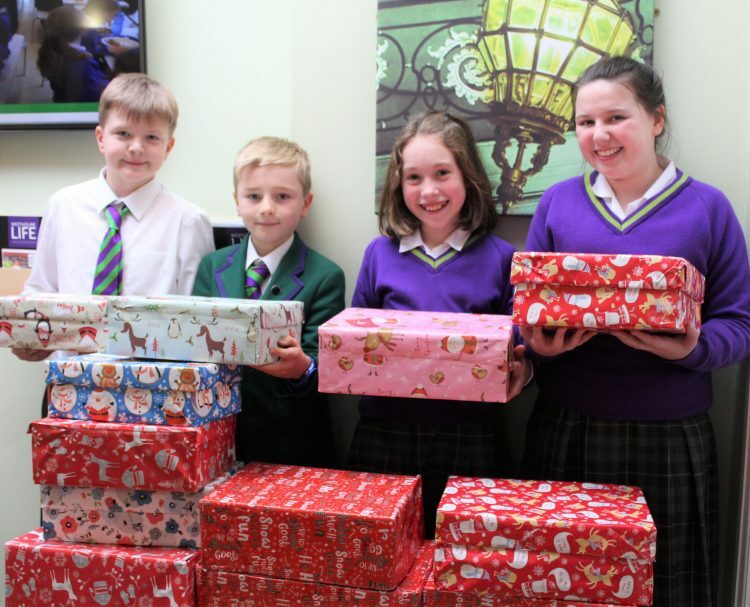 Students at Senior School have been busy filling shoeboxes for the International Aid Trust’s Shoebox Appeal. 48 shoeboxes have been contributed which is a huge achievement and we are extremely grateful. International Aid Trust sends shoeboxes of gifts to people of all ages in poorer parts of Eastern Europe, Africa and Asia. The shoeboxes will help to bring happiness and joy to people all over the world this Christmas. Thank you to everyone who has contributed to this wonderful cause.